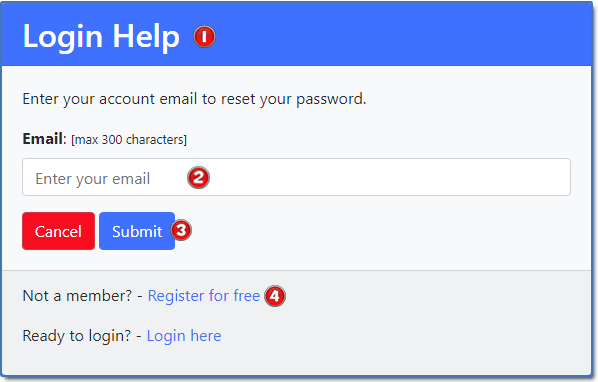 From the Login Screen, click on the link, Get Help Here. The Login Help screen will open. Enter the email you used to sign up for the account. Once you’ve completed the form, click the Submit Button. An email well be sent to your email with a link so you can reset your password. If you don’t have an account, click the Register for Free link.